Transitionally styled and perfect for your home, this Chandler occasional table collection mixes rustic style, with industrial aspects perfectly. 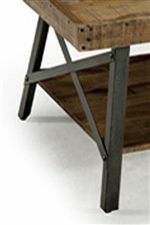 Each piece has metal legs with X braces that mimic the look of a skyscraper, and the Rustic wood adds the perfect touch. Storage space is present on each table for the ideal place to set your remotes and magazines. With this lovely collection in your living room, entertaining your friend and family will be taken to new heights. 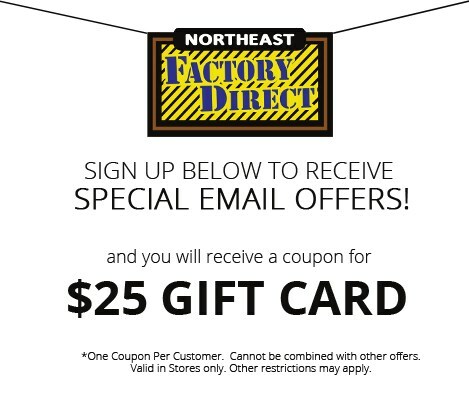 Browse other items in the Chandler collection from Northeast Factory Direct in the Cleveland, Eastlake, Westlake, Mentor, Medina, Macedonia, Ohio area.